Just Listed :: Charming Split Level in Sandy Springs! Welcome home! 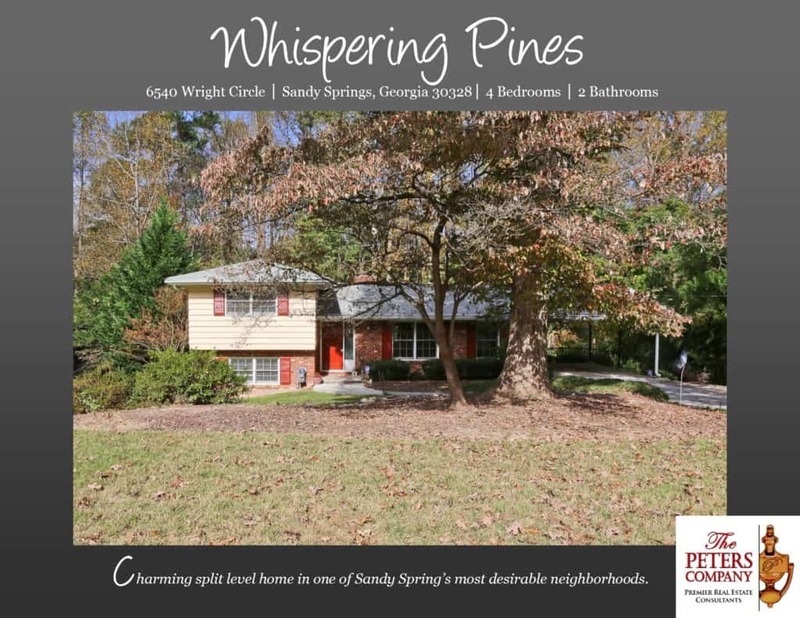 This charming split level home in Sandy Springs’ popular Whispering Pines neighborhood is just what you’ve been looking for! Convenient to Sandy Springs’ finest attractions, you will be in the middle of it all including prestigious shopping, award-winning restaurants, and exciting nightlife. Easy access to I-285, I-75, and GA400 make virtually all commutes a breeze. Nearby hotspots include City Walk, Heritage Park, and the new Abernathy Greenway! The kitchen features granite counters, modern cabinetry, stainless steel appliances, pantry, and breakfast bar. The separate dining area is ideal for entertaining. A spacious living room is filled with tons of natural light. The master bedroom has dual closets and an updated bath which connects to an additional upstairs bedroom. Two additional bedrooms on the lower level are well-sized and bright. The basement has a cozy wood burning fireplace and extra storage in the workshop/utility area. A huge backyard boasts a patio perfect for outdoor enjoyment. ← Just Listed :: Renovated Mid-Century Modern in Lavista Park!